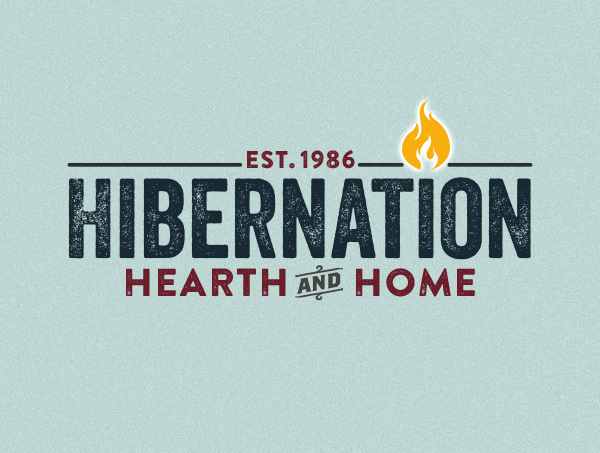 Hibernation Hearth & Home is a home decor retail store in Tuolumne County, California. They specialize in wood and gas heating stoves and fireplace inserts. Hibernation’s local competition includes Lowes, WalMart and Orchard Supply. They are proof that a local small business can continue to survive and thrive even as large retail chains move into and replace small businesses in rural communities. Their attention to details like branding and interior design combined with a high level of customer service, product knowledge, and support help to position their business to compete successfully with big box retailers. In the process of designing their logo and branding we explored a variety of options. The best solutions are arrived at after considering multiple approaches and ideas.